Funding Boost For Morley Holiday Boxes Scheme. Special ‘holiday boxes’ that help residents in Morley to keep burglars at bay have received a funding boost from local town councillors. 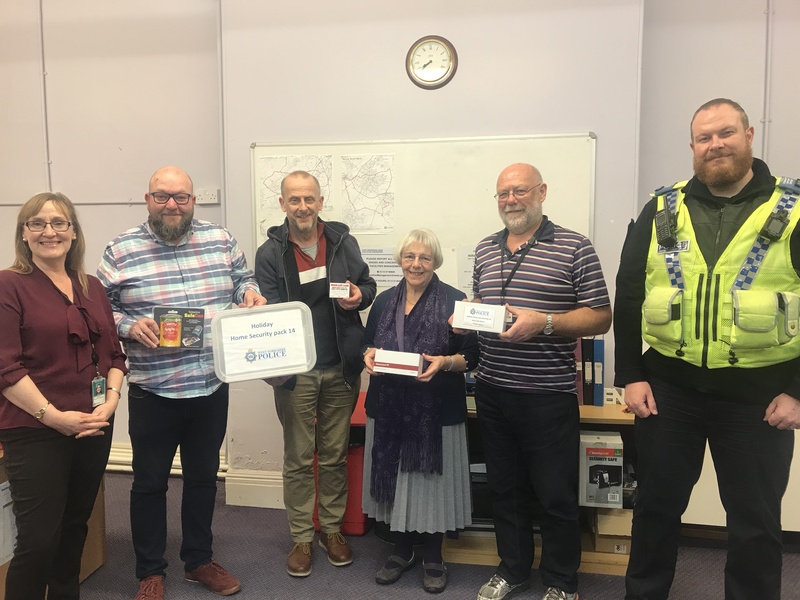 Morley Town Council recently provided a grant of £1,169 to restock the boxes that are loaned out to residents to protect their homes while they are away on holiday. From left, Lisa Raynor, Cllrs Simon Kimberley, Robert Finnigan, Shirley Varley, Jim Aveyard and PCSO Alex Goodall. The additional funding has paid for hundreds of safe cans, timer switches, door handle alarms, window alerts, door chimes, UV marker pens and warning stickers that the boxes feature, along with simulated televisions and passive infrared alarms. Some of the items are returned with the boxes but others, such as window alerts, remain in place in homes for future use. The initiative has been led by PCSO Alex Goodall, of the Outer South Neighbourhood Policing Team, based at Morley Police Station. Lisa Raynor, Partnership Funding Officer for Leeds District, said: “The scheme has proved very popular previously and we wouldn’t have been able to restock and relaunch the project without this valuable support from Morley Town Council.